GREENBELT, Md. (NASA PR) — NASA’s continued quest to explore our solar system and beyond received a boost of new information this week with three key missions proving not only that they are up and running, but that their science potential is exceptional. On Sept. 17, 2018, TESS — the Transiting Exoplanet Survey Satellite — shared its first science observations. Later in the week, the latest two missions to join NASA’s heliophysics fleet returned first light data: Parker Solar Probe, humanity’s first mission to “touch” the Sun, and GOLD, a mission that studies the dynamic boundary between Earth and space. 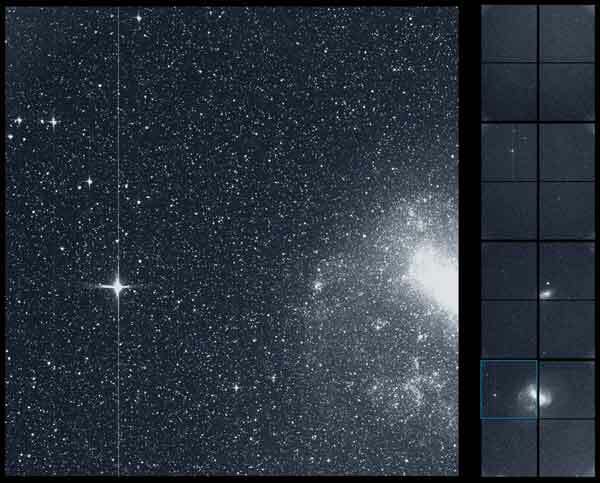 Part of the data from TESS’s initial science orbit includes a detailed picture of the southern sky taken with all four of the planet-hunter’s wide-field cameras. The image captures a wealth of stars and other objects, including systems previously known to have exoplanets, planets beyond our solar system. TESS will spend the next two years monitoring the nearest, brightest stars for periodic dips in their brightness, known as transits. Such transits suggest a planet may be passing in front of its parent star. TESS is expected to find thousands of new planets using this method. Together, the two other missions represent two key observation points in the giant system of space — dominated by particles and magnetic energy from the Sun — studied by the field of heliophysics. Parker Solar Probe will help us understand how the Sun’s atmosphere drives particles out into space; GOLD monitors changes in the space close to Earth, much of them driven by ever-changing solar activity. The two viewpoints support heliophysics’ focus on our star and how it influences the very nature of space — and, in turn, the atmospheres of planets and human technology. In early September, each of Parker Solar Probe’s four instrument suites powered on and returned their first observations on the spacecraft’s journey to the Sun. While the data are not yet examples of the key science observations the spacecraft will take closer to the Sun, they show that each of the instruments is working well. The instruments work in tandem to measure the Sun’s electric and magnetic fields, and particles from the Sun and solar wind. They also capture images of the solar wind environment around the spacecraft. 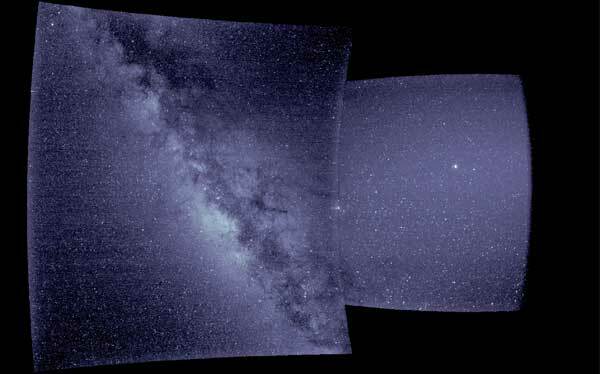 The mission’s first close approach to the Sun will be in early November 2018, but even now, still outside the orbit of Venus, the instruments indicate they’re ready to gather measurements of what’s happening in the solar wind. WISPR, the mission’s only onboard imager, captured the first snapshots from its journey to the Sun on Sept. 9, 2018. Similarly, the FIELDS instrument suite provided the first magnetic field observations and even captured a burst of radio waves, signatures of a solar flare. One of the SWEAP instruments sampled its first gust of solar wind, and the ISʘIS instrument — pronounced “ee-sis” and including the symbol for the Sun in its acronym — successfully measured the energetic particle environment. GOLD’s first light closely followed Parker Solar Probe’s. 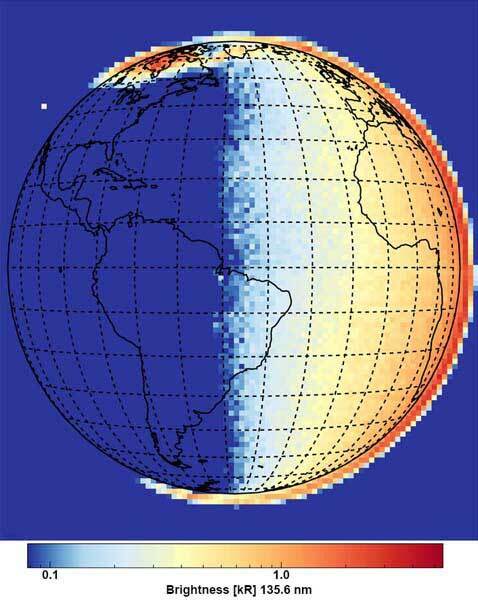 On Sept. 11, the GOLD — short for Global-scale Observations of the Limb and Disk — instrument powered on and opened its cover to scan Earth for the first time, returning a full-disk image of the Western Hemisphere in ultraviolet. In this wavelength of light, which is invisible to the human eye, GOLD enables researchers to view global-scale temperature and composition at the dynamic region where Earth’s upper atmosphere meets space. Historically difficult to observe, the region GOLD studies is little-understood and can undergo dramatic change in as little as an hour. GOLD — which occupies geostationary orbit, hovering 22,000 miles over the Western Hemisphere — will provide hour-by-hour updates on the ever-changing conditions in near-Earth space, known as space weather. Shifts in space weather can garble space-traveling communications signals, interfere with electronics onboard satellites, endanger astronauts and at their most severe, disrupt power grids. TESS is a NASA Astrophysics Explorer mission led and operated by MIT in Cambridge, Massachusetts, and managed by Goddard. Dr. George Ricker of MIT’s Kavli Institute for Astrophysics and Space Research serves as principal investigator for the mission. Additional partners include Northrop Grumman, based in Falls Church, Virginia; NASA’s Ames Research Center in California’s Silicon Valley; the Harvard-Smithsonian Center for Astrophysics in Cambridge, Massachusetts; MIT’s Lincoln Laboratory in Lexington, Massachusetts; and the Space Telescope Science Institute in Baltimore. More than a dozen universities, research institutes and observatories worldwide are participants in the mission. GOLD is a NASA mission of opportunity as part of the heliophysics Explorer Program. Goddard manages the Explorer Program for the Heliophysics Division of NASA’s Science Mission Directorate in Washington. It is designed to provide frequent, low-cost access to space using principal investigator-led space science investigations relevant to the agency’s astrophysics and heliophysics programs. GOLD is led by the University of Central Florida. The Laboratory for Atmospheric and Space Physics at the University of Colorado Boulder built and operates the instrument. The GOLD instrument is hosted on a commercial communications satellite, SES-14, built by Airbus for Luxembourg-based satellite operator, SES.